Another #CageLive. Another chance at freeroll seats. Make sure you tune in to The Cage Live this weekend. We’ll be streaming the action live from sunny San Jose, Costa Rica. Not only will you get to witness the action firsthand, but you’ll also be able to get the codes for our special freerolls. Gotta remember to do this tomorrow and Sunday! 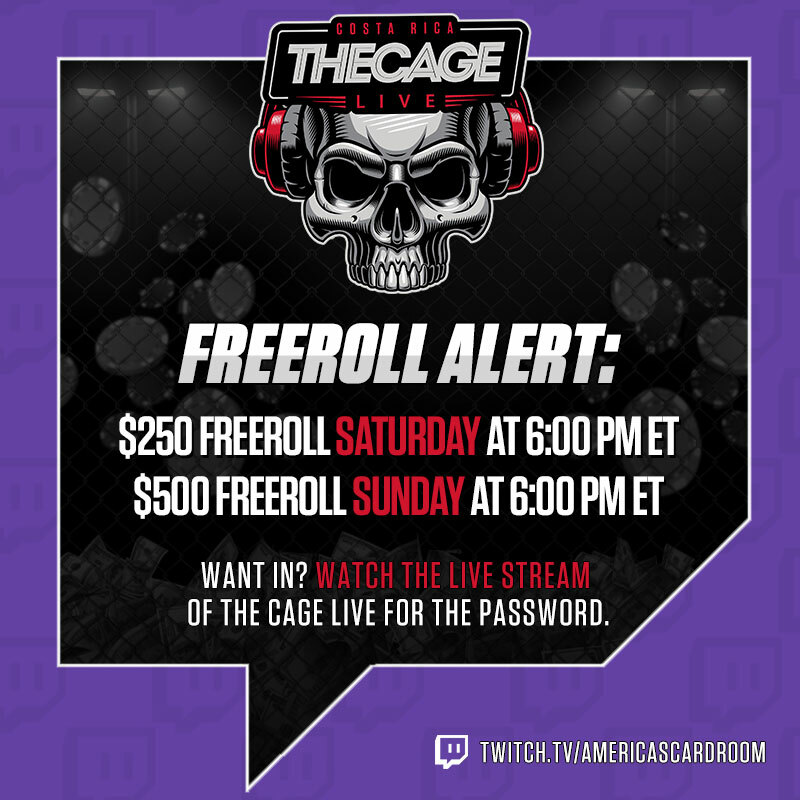 Then don’t forget to rail The #CageLive to get the password for our #freerolls.